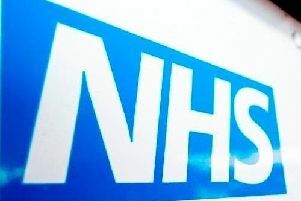 Parents are being urged to make sure their children are properly vaccinated after a reported outbreak of measles in Chichester. Public Health England (PHE) is calling on people to ensure they are fully up to date with the MMR jab. To date there has been one confirmed case in Chichester, and nine suspected cases, PHE said. Dr Sarah Lock, PHE South East Health Protection consultant, said: “Measles is extremely infectious and not just a childhood illness but one that can affect anyone at any age. “It is really important that anyone, even adults, who hasn’t already had two doses of the MMR vaccine contacts their GP surgery for an appointment to get vaccinated. “If you’re unsure whether you or your children have had 2 MMRs, first check your child’s Red Book or contact your GP surgery. You do not need additional MMR vaccines if you and your children have all had two MMR vaccines. “With ongoing outbreaks in other parts of Europe including Romania, Italy and Ukraine, we’re also warning that anyone travelling to these countries is at particularly high risk. Measles is a highly infectious viral illness that can be very unpleasant and lead to serious complications, especially in people with immune problems, pregnant women, and in babies younger than one year. The free MMR vaccine is a safe and effective way of protecting against measles, mumps and rubella. It is particularly important for parents to take up the offer of MMR vaccination for their children at 1 year of age and as a pre-school booster at 3-years 4 months of age. If children and young adults have missed these vaccinations in the past, they are recommended to ask their GP practice for the vaccine now, in light of the increase in recent cases.